This year, we have introduced Aistear themed play for our junior and senior infants. Aistear is a curriculum framework for young children. 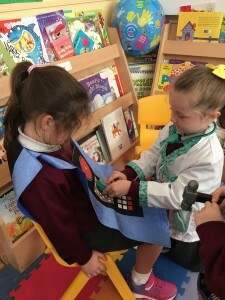 Our aim is to provide enjoyable and challenging play and learning experiences so that all of our junior pupils can develop as confident and competent learners. 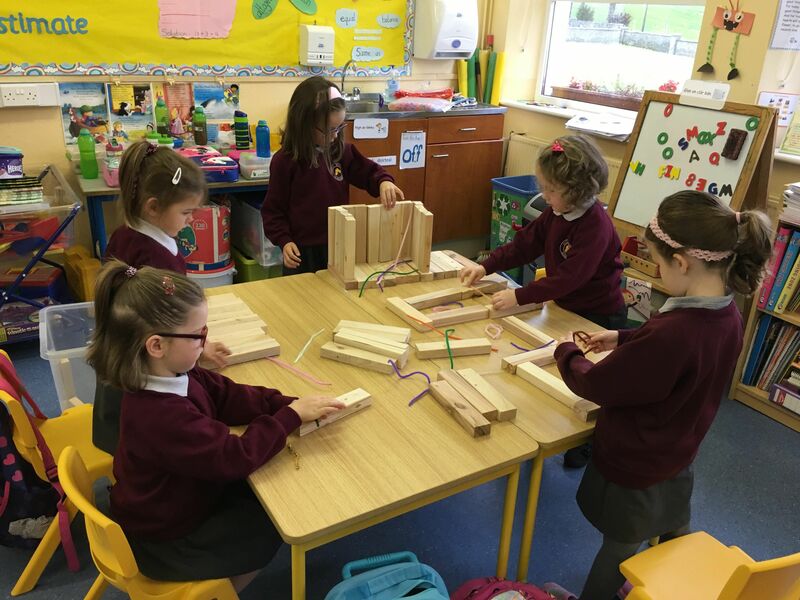 Each morning, the junior and senior infants learn through a mix of play stations including construction, play dough, role play, junk art, water and exploring. 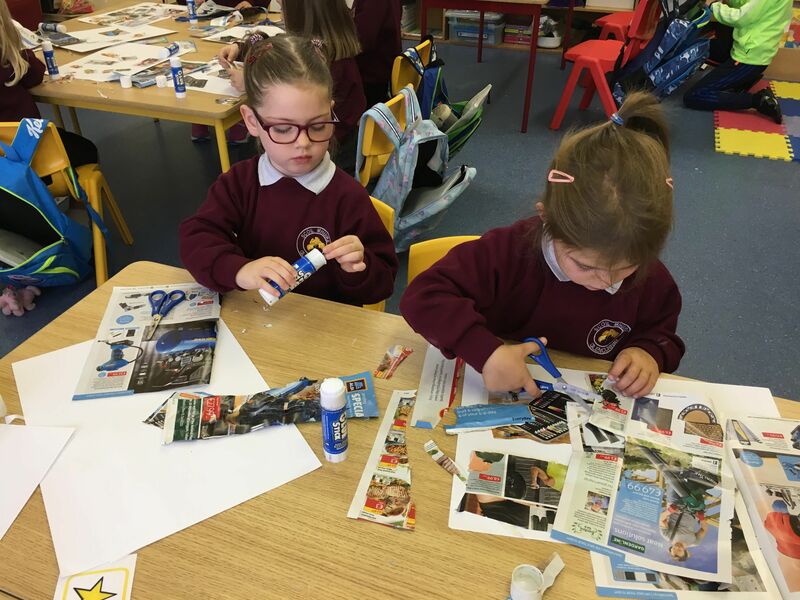 These stations provide our pupils with opportunities to be actively engaged in their own learning while using a variety of skills including; the use of their senses, imagination, creativity and motor skills while also developing their knowledge and language skills. 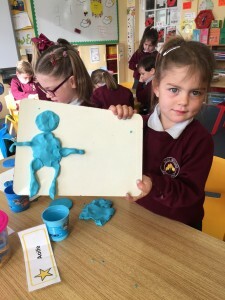 We follow a different theme each month. This allows the children to really engage with the world around them. In September we were working under the theme of ‘Myself’. 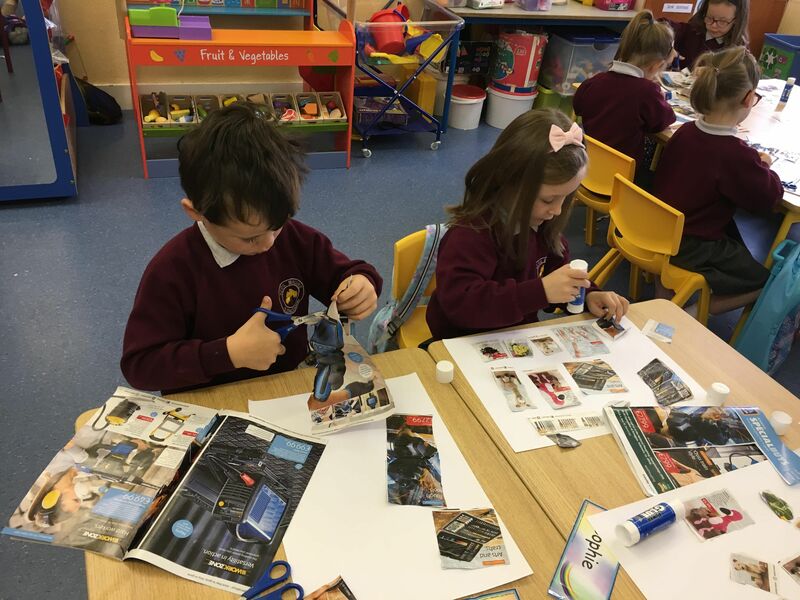 As you can see from our pictures we have had a wonderful time building robots, exploring the things we find in our houses, pretending to be doctors and nurses and also painting self portraits.